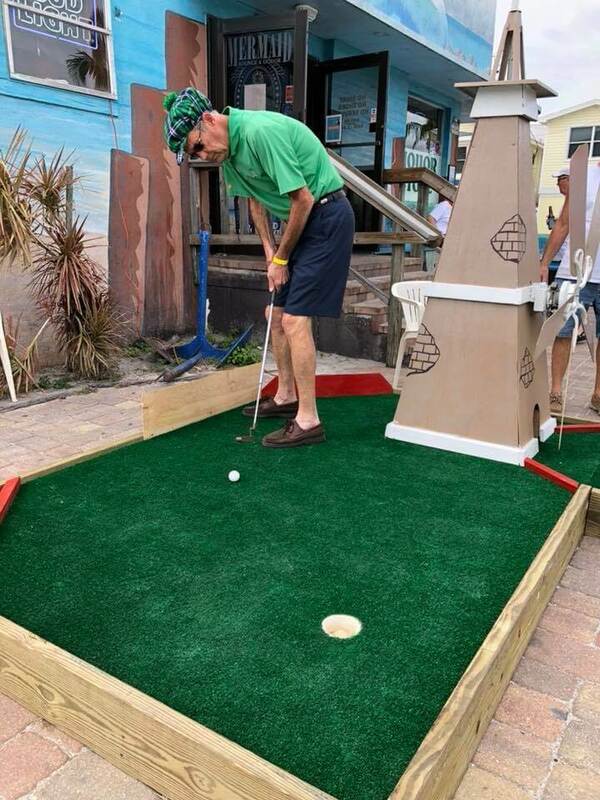 Have some serious putt-putt fun while supporting nine local non-profit organizations at the Putt & Pub Crawl on Fort Myers Beach! Course (Holes) Open at 10:00 a.m. Cost: $225.00 per 4 person team Download the application here. Entry fee provides you entry into the 9 hole competition, drink specials, raffles, 50/50, dinner & more!! Registration: Pre-register now – You must be signed up AND paid in order to be registered. This is a sell out event every year, so don’t hesitate. Please have one (1) full contact info & ALL 4 names. You will be emailed with day of event details closer to January 19th. How it works: Course opens at 10:00 a.m. You may play the holes in any order you like. Each sponsor will supply the club & golf ball for you. Each sponsor will have a representative to write down your score. You must complete ALL 9 holes and have your score card turned in no later than 5:00. (Holes close at 4:30). After Party is 4:30 – 6:30 (Prizes distributed between 5:30 – 6:00 p.m.). Judges & Peoples Choice Awards for the Hole Sponsors. Mail or Drop off Checks and Entry Form Make Checks Payable to: Fort Myers Beach Chamber of Commerce 2450 Estero Blvd, Fort Myers Beach, FL 33931. You can also pay online below but please still fill out and submit the entry form.